Teeth whitening can whiten your teeth up to 5-10 shades. A one hour whitening treatment and can guarantee the results whatever your age. 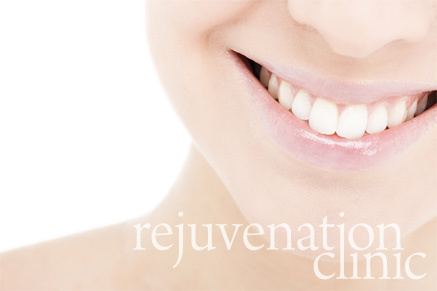 The Rejuvenation Clinic whitening system uses the latest innovative products that will get more staining from the teeth and therefore the results tend to last longer. The Rejuvenation Clinic uses a non peroxide whitening gel which gives excellent results but does not harm the teeth or gums in any way. With our fast and efficient laser teeth whitening therapy your teeth could become up to ten shades lighter in just one hour. We use a State-of-the-Art L.E.D Blueray Whitening Light, which is the most technologically up-to-date dental whitening lamp in the world.